Communicable Disease Management Protocols are key to supporting health professionals and practitioners in the prevention, management and control of communicable diseases. Manitoba Health's 2009 tuberculosis protocol was a detailed 130-page document that combined clinical guidelines with the protocol. Some stakeholders complained that the document was not user friendly. When the Communicable Disease Control (CDC) team at Manitoba Health was charged with updating the protocol they, with the Manitoba Tuberculosis Steering Committee, decided to try a new approach - going to users to get their input on the format before re-designing the document. The CDC team was directed to the AGREE II Instrument on the National Collaborating Centre for Methods and Tools' (NCCMT) website through an Evidence-Informed Public Health (EIPH) online module. 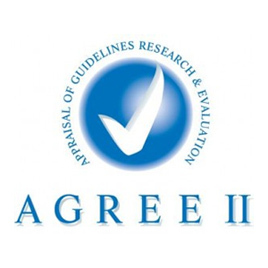 The tool was designed by the Agree Enterprise, an international endeavour aimed at improving the quality of clinical practice guidelines. Since the development of guidelines can vary considerably, the tool helps to identify those of high quality. The CDC team used the AGREE II tool to design an interactive, online questionnaire to get feedback from 150 users and potential users of the protocol - physicians, policy analysts, program planners, public health practitioners and community organizations involved in tuberculosis prevention and control. The AGREE II tool helped them design a questionnaire to determine how well the current protocol met users' needs for scope, clarity, effectiveness, quality and usability. Although the AGREE II tool didn't provide operational examples or specific questions to ask, it prompted a discussion by the Manitoba Tuberculosis Steering Committee that identified areas to assess. It also guided the design and content of the online questionnaire, strengthening the questions and helping to shape the answer options. The CDC team knew that the medical information in the 2009 protocol was accurate, but learned through the survey that its presentation was problematic. For example, the old version had relevant data in appendices, forcing users to flip back and forth when using the document. The new tuberculosis protocol is more concise. It is clearly focused on its purpose as a protocol. Readers are now referred to other resources for details related to clinical guidelines, such as drug treatments and side effects. The CDC team plans to use the AGREE II tool again, this time to help finalize the provincial strategy for sexually transmitted infections. The team believes the tool provides an excellent process to engage service providers, communities and policy makers in the program planning and policy formulation process.